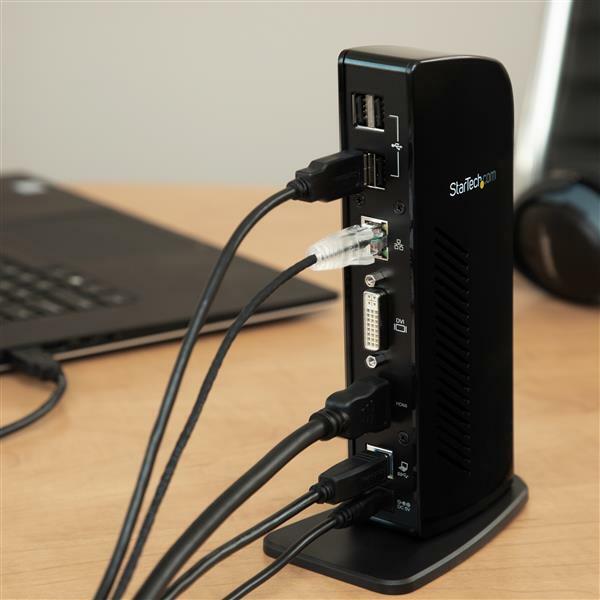 This USB 3.0 dock combines a 6 port USB 2.0/USB 3.0 hub, headphone and microphone audio connectors, and a Gigabit Ethernet RJ45 port into a single docking station. 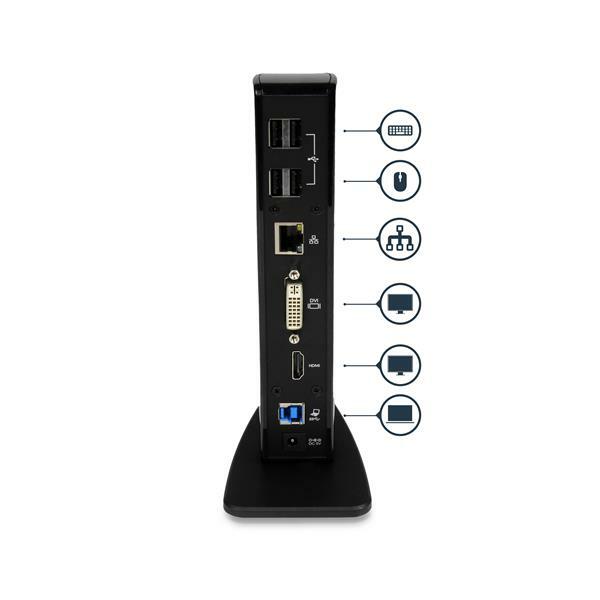 Offering flexible dual video combinations right out-of-the-box, this universal laptop docking station features HDMI and DVI external monitor output providing up to 1920x1200p resolutions, as well as an included DVI to VGA adapter for added flexibility. 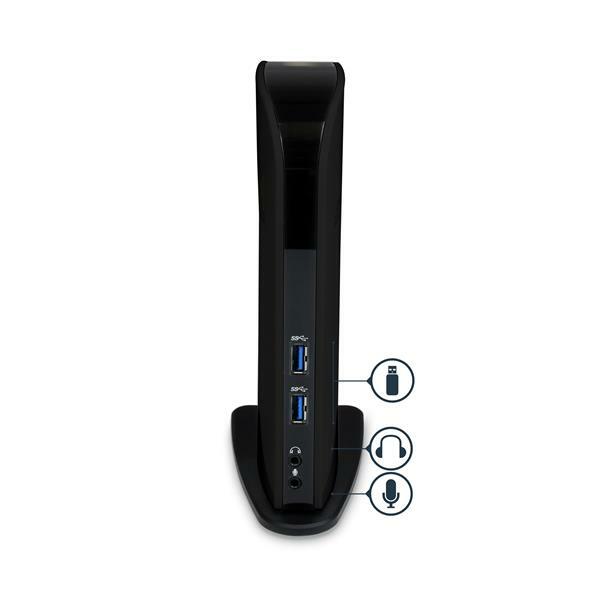 The built-in USB hub features 2 USB 3.0 ports and 4 USB 2.0 ports for connecting extra peripherals such as external hard drives or a wired mouse as if they connected directly to your laptop. 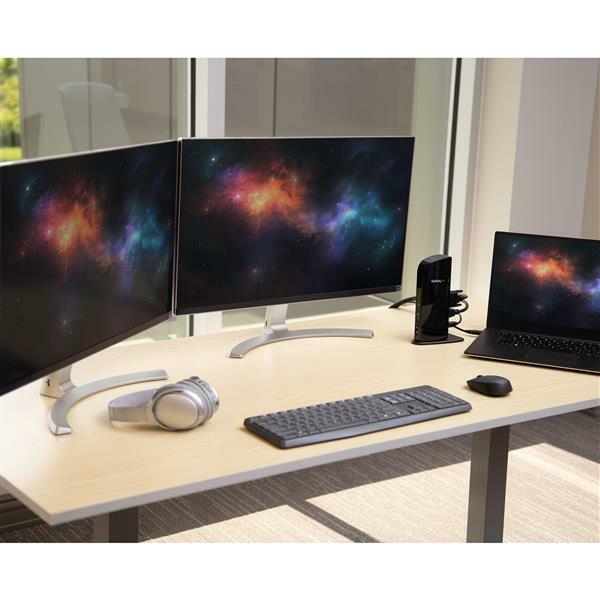 With an upright design, the dock occupies as little desk space as your smart phone, so it's perfect for hoteling or hot desk environments. 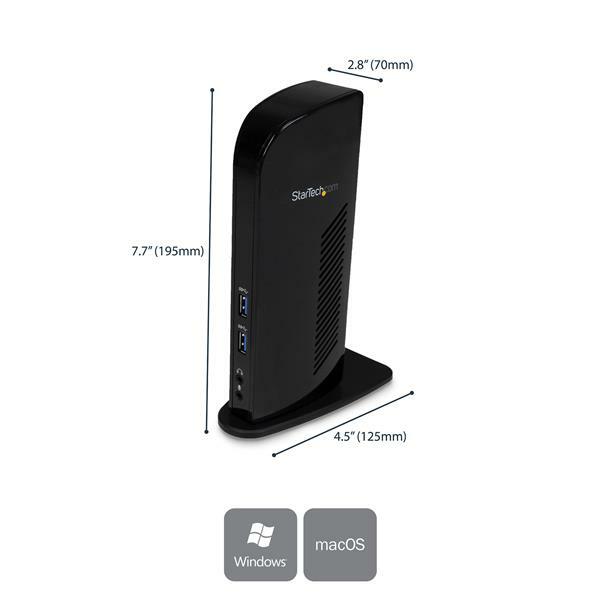 The integrated RJ45 Ethernet port supports speeds of 10/100/1000 Mbps, giving you an instant connection to a reliable wired network. 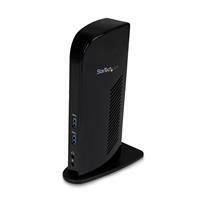 StarTech.com’s laptop docking stations can be used for cost savings and faster deployment with just a single cable. 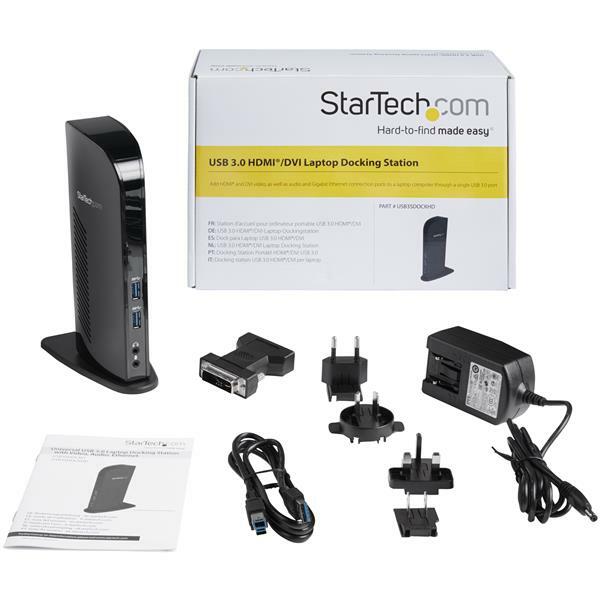 This USB 3.0 Docking Station is backed by a competitive 3-year warranty and free lifetime multilingual Technical Support.